Like lots of people I don't live near my parents or close family. I probably tend to see my folks around once every six months to a year and although obviously I would like them to be a bit more involved in Wilf life its something I've grown used since leaving home. If I'm honest it's not something that really strikes me as that out of the ordinary but it's something I felt quite strongly in the first few months of motherhood. Since then I've made very close bonds with a few special women in my life who now feel very much like family. I count myself really lucky that I have these people in my life and countless times I have wondered how I would cope without a shoulder to cry on, a glass of wine to laugh over or help with childcare. I also feel really lucky to live in the neighbourhood and community that I do and this small part of the city has really become like my village to me. Often myself and one of my neighbours will check what each other is up to on the way to taking our kids out for the morning and if either of us needs a break or a hand watching the kids. One of my favourite places to take Wilf and his little buddy is our local city farm, it's only a 15 minute walk for us and the cafe does really good coffee so it's pretty win win on a morning that we have nothing much planned. On one of these morning not so long ago I made the mistake of thinking I could use a buggy for one and let the other walk. What actually happened five minutes down the road was an argument about who would sit in the pushchair and who would walk making a 15 minute joinery actually take over an hour. 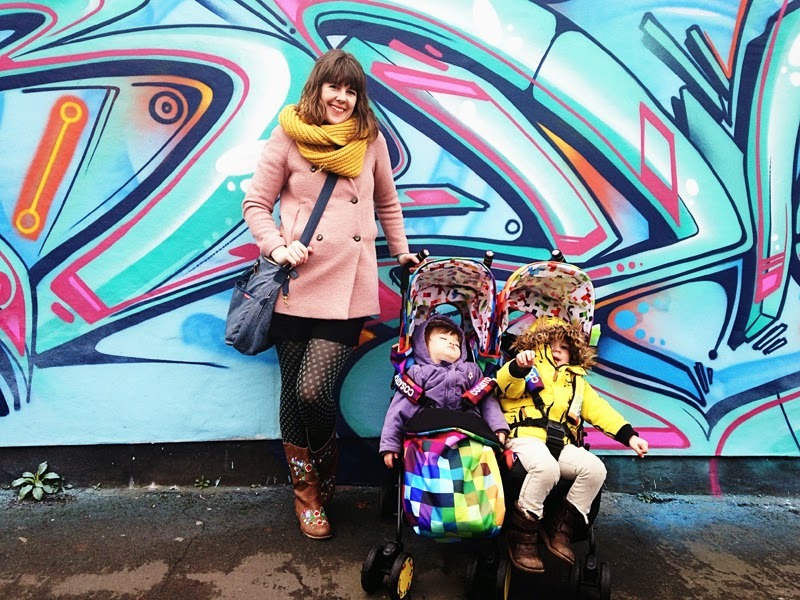 I realised then that a double pushchair would be great for our street (we have another couple of babies on the street that often share too) and so thought it would be a good opportunity to test out the Supa Dupa pushchair from Cosatto. If I'm 100% honest at three Wilf is at the maximum age to really be riding in it (especially as he is big for his age) but I thought it would be useful to use on these occasions and it definitely has been. I found the Supa Dupa really easy to push compared to friends double buggies I've used in the past that have felt a lot heavier. I was also keen to get a double pushchair with seats that sat beside each other rather than under or behind each other. It was really nice for the kiddos to be able to chat to each other and have the same view. Do you have neighbours and friends that act like family for you or do you live close to yours? You are so lucky to have found friends in your neighbourhood. I have a friend two doors down from me. It is extremely handy at times. My friends act as my family too as I live in another country and have done for more than half my life. Don't know what I'd do without them. We live about two minutes away from my parents, and about 5 minutes from the oh's - can't imagine not living so close - we see my mum every other evening when she stops by on her way home from work, and spend a few hours there on the weekend. 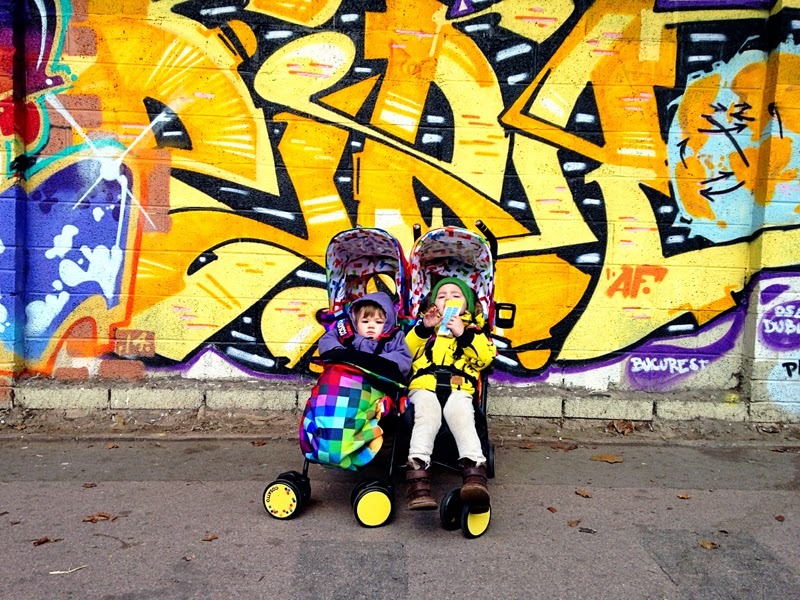 Love the cosatto pushchair - we are huge cosatto fans here! I live 180 miles away from my parents and I have to come them now because of the distance. I knew someone with a long double buggy and the front wheels collapsed under the buggy one day! Love the colour way of this. Aww kids do love a buggy, mine were definitely in them until age 4! They get tired otherwise! This one looks very funky, love it! Like the video. Cosatto always do funky colours.